Edgardo Ramos Just enter this code at checkout to apply the discount. 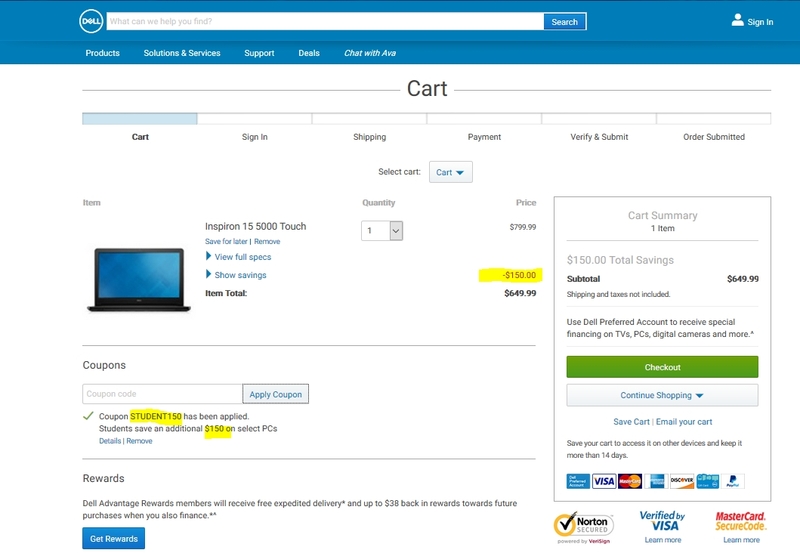 There may be some exclusions that will apply to this deal.This deal works as described. This offer is still valid. It works perfectly, the promo code works very well. Elizabeth de Herrera This deal works as described. 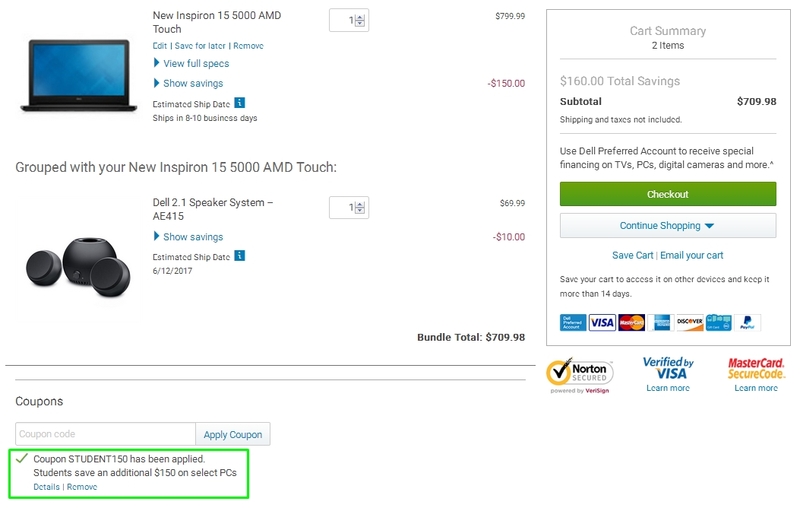 Save $150 Off on Select PCs at Dell. Use this code promo and discount will be applied on your order. Raihan Hussain Suyeb I am validating that this deal works as described. 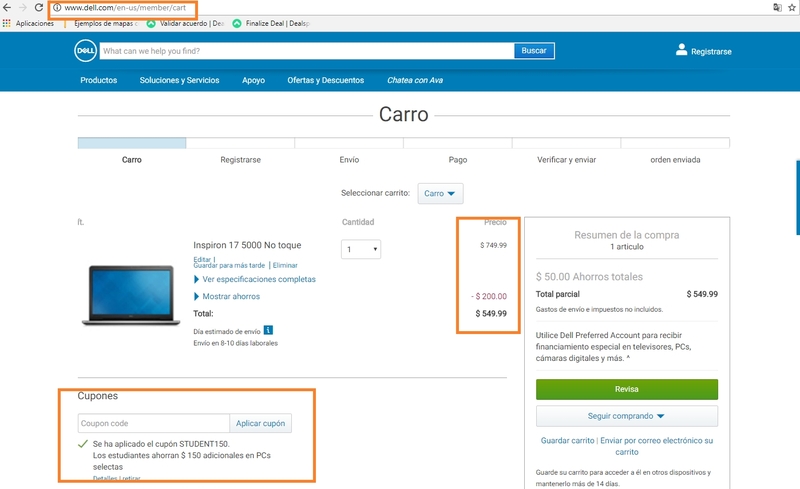 Orlii Riera This code still works, it is very easy to apply, just enter the page select the product of your preference and add it to the cart, then check the car and apply the code studen150 and you will get immediately $ 150 off. 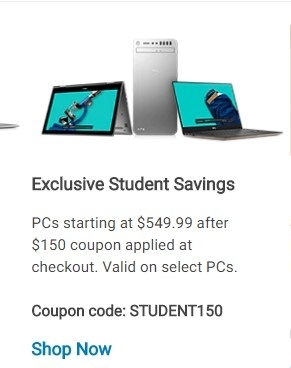 Cindy Lawrence This promotion remains available, you can use this promo code only with select pcs, other products are excluded from this offer, you will be able to enter this code at checkout. Jesus Guevara I am validating that this deal works as described. 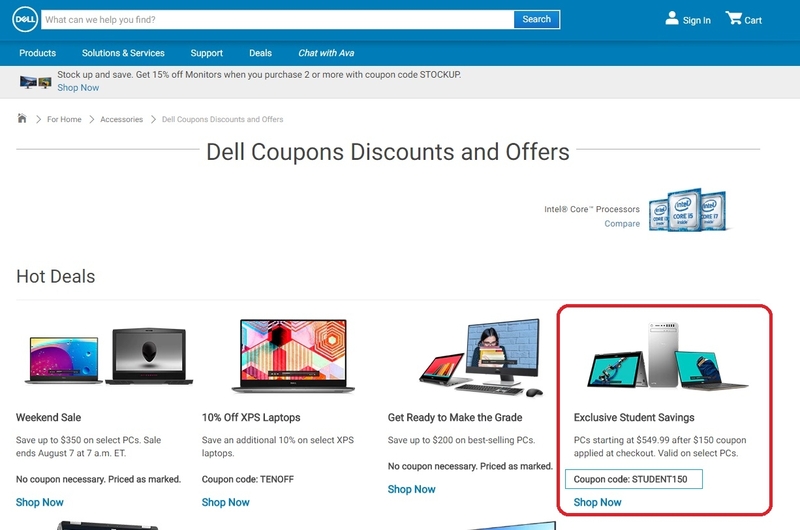 Enter the promo code "STUDENT150" to save $150 Off on Select PCs at Dell. 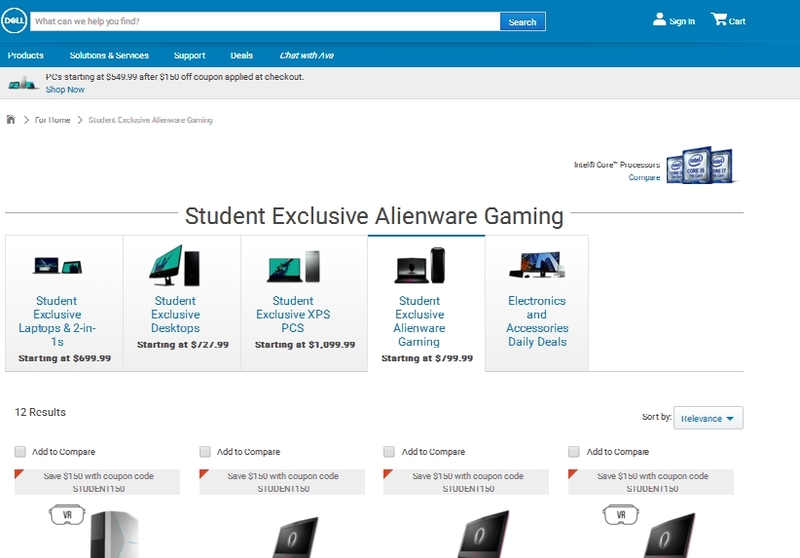 Georgia Bennet This offer still works, but there was an error with the store name, the store posted was "Alienware", but, when you click on link to deal the store is "Dell". 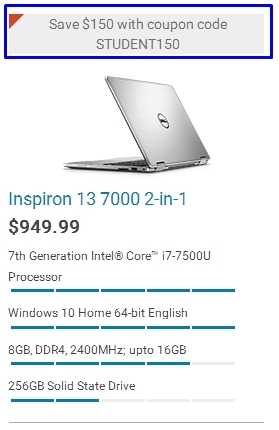 So I have edited this offer in order to make it works correctly.